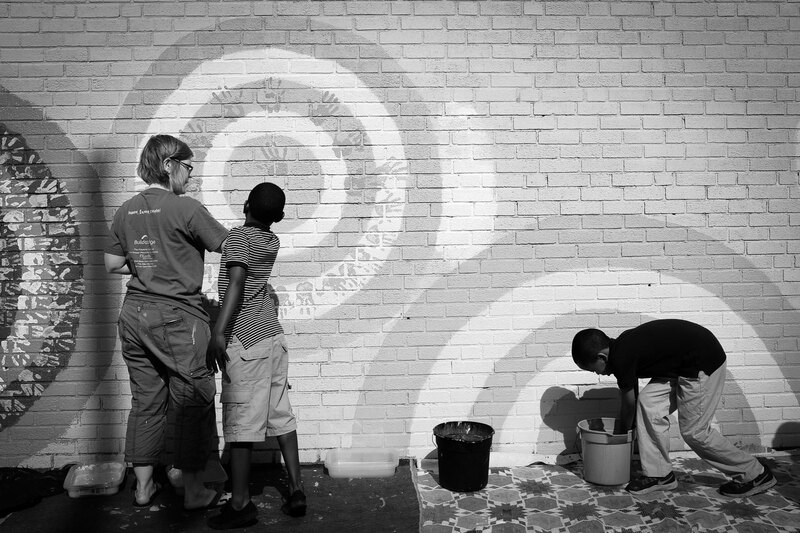 Art teacher Charlene Melhorn guides students as they make their hand-prints on a mural outside of Smith Elementary School in Philadelphia on Monday, June 17, 2013. "This is our little act of rebellion," Melhorn said. "It's our chance to leave our mark on this school."